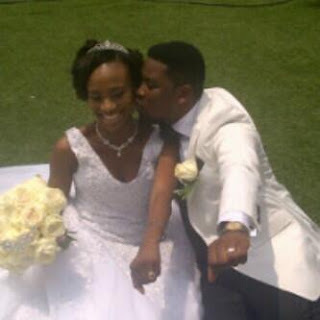 The younger sister of Nigerian musician Oladapo Oyebanjo aka D’banj got married today in style. 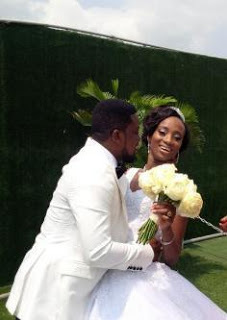 Taiwo Oyebanjo and her fiance, Dotun Ojuolape of Cool FM married elegantly today in Lagos. The star studded white wedding ceremony took Lagos by storm in the early hours of Saturday with popular celebrities in attendance. 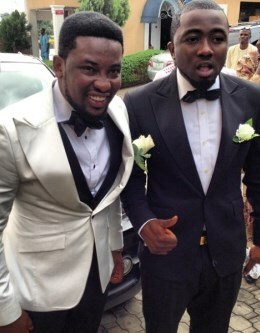 The reception was anchored by comedian Bovi and On Air Personality Lolo1. 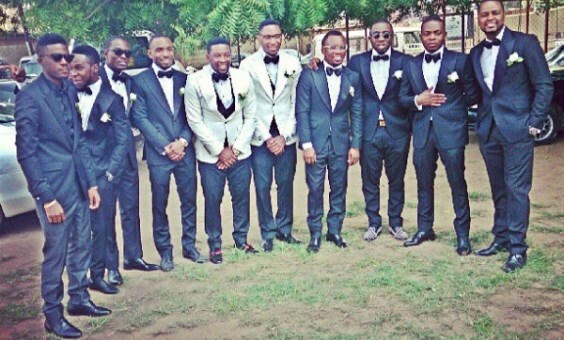 Kay Switch, Dotun, Taiwo,Ice Prince & Others. The couple used the same hall as their wedding reception venue. After the union, the hall was immediately transformed into an elegant reception venue. 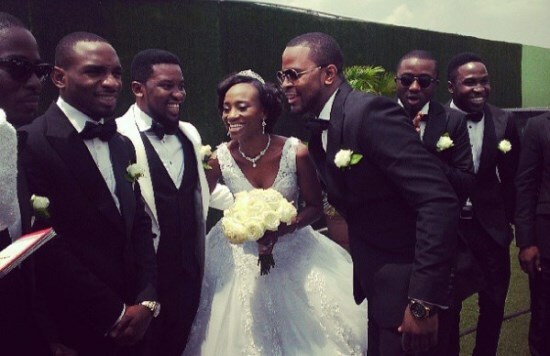 Nigerian celebrities who graced Taiwo Oyebanjo’s white wedding ceremony today include rapper Olamide, Ice Prince Zamani, Taiwo’s Oyebanjo’s twin brother Kay Switch, Dj Xclusive, Yung L, Endia, rapper 2shotz, Comedian Julius Elenu, Timi Dakolo and many others. Taiwo Oyebanjo & Dotun Ojuolape did their traditional wedding in Sagamu last Saturday. View the photos here. 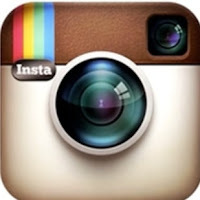 Stay in touch with NaijaGists.com for the official photos from the wedding ceremony. 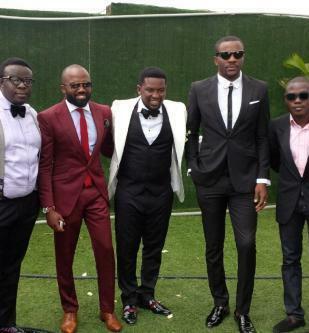 where is his brother d banj?was he not invited? Woah. Congrates my fellas. Now you are no longer a boy but a a man. Because boys don’t marry but men do.